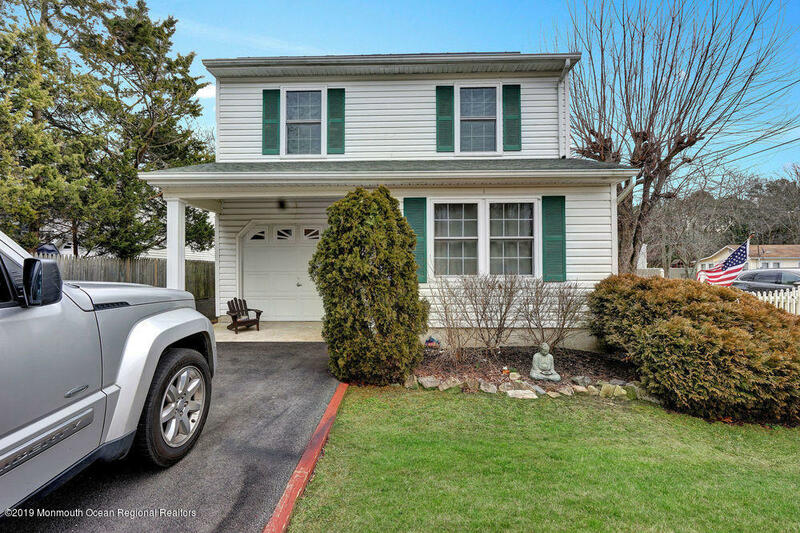 HERE IS YOUR VERY WELL MAINTAINED THREE BEDROOM COLONIAL WITH GAS HEAT AND VINYL SIDING, A NICE BACK DECK, WITH UNDERGROUND SPRINKLERS, ALL ON A CORNER LOT! THIS HOME BOASTS OAK CABINETS WITH NICE EIK WITH NEW APPLIANCES .A HUGE MASTER BDRM AND CERAMIC TILE IN FULL BATH . NEW FLOORING DOWN STAIRS. NEW FURNACE, HOT WATER HEATER AND NEW WINDOWS . A NEWER ROOF WITH SOLAR PANELS AND NEW SCREEN DOOR. PLENTY OF ATTIC SPACE AND STORAGE IN THE GARAGE WITH A COAT CLOSET FOR EXTRA CLOSET SPACE! THIS HOUSE IS PERFECT AND WILL NOT LAST!! , DON'T MISS THIS HOME! !